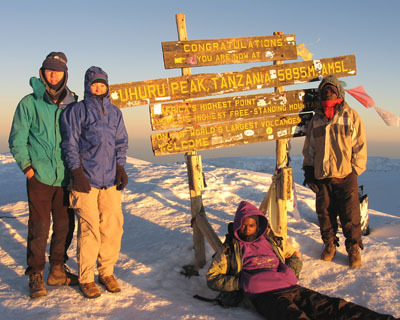 Peakbagging refers to climbing mountains. When the summit is finally reached the peak is "in the bag" so to speak. This can be come an obsession for some, leading to all sorts of bizarre behavior. There are numerous reports, and articles on mountains worldwide by myself and other climbers and travelers. Some articles cover related subjects such as the Global Positioning System (GPS) and survey monuments (Benchmarks). There are files that you can download for each of the peak lists which can then be uploaded to your Garmin GPS receiver. In addition there are some route files for peaks that I have done which you may find useful should you try the peak. I hope you enjoy this site. Guatemala, Nov-Dec, 2016. Photos and notes on volcano climbs. Japan Travels, September 2014. Notes on several summits climbed. Mt. Apo, highest peak in the Philippines. Climb. Photos. Notes., Nov. 2006. Mt. Pulag, second highest peak in the Philippines. Climb. Photos. Notes., Nov. 2006. Backpacking to Golden Hinde, Vancouver Island, B.C., August 2005. Photos. Report. Costa Rica, Cerro Chirripo, November 2004. Photos. Notes. Scotland, Ben Nevis and Munros, June 2004, by Debbie Bulger. Venezuela, Pico Bolivar, February 2004, by Edward Earl. Alaska, Peaks climbed along Dalton Highway, July 1995. Czech Republic, Hungary and Slovakia, Sept. 2003, by Richard Carey. Photos. Turkey, Mount Ararat, July 2002, by Richard Carey. Photos. Notes. Peru, Huayna Picchu, March 2002, by Alan Ritter. Greece, Northern Mountains with Mt. Olympus, August 2001. Fan Si Pan, 3143m, November 1998. Highest mountain in Vietnam. Scotland, The Munros, August 1999, by Richard Carey. Aconcagua, February, 2000, by Helen Qian. Mt. Kenya Climb, by Rich Henke. Three Times on Orizaba, by Rich Henke. Highest mountain in Mexico. Mt. Sinai and Egypt High Point, by Ron Hudson. Dhaulagiri, The Mountain of Storms, by Rich Henke. Picacho del Diablo, May 2001. 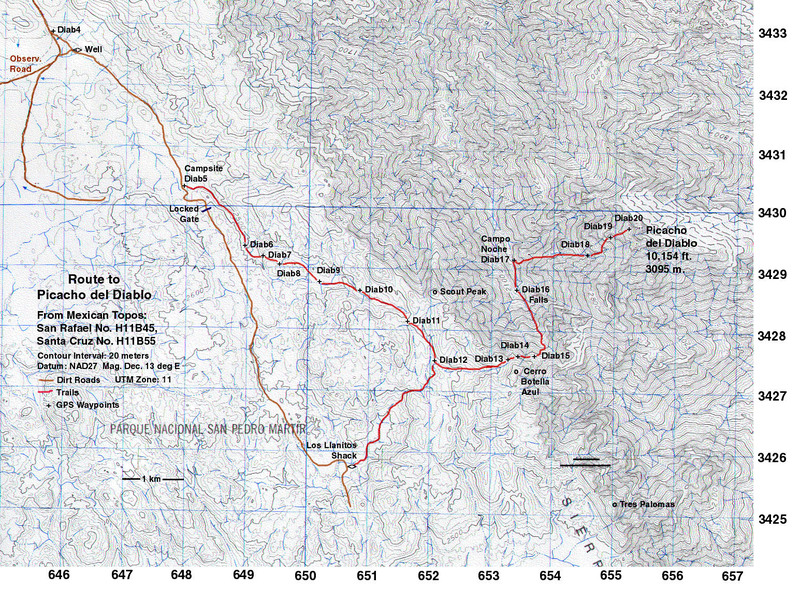 Climbing notes and map for Baja's highest peak. Install Google Earth on your computer and download these files. Copyright by Richard L. Carey. Page revised April 9, 2015. 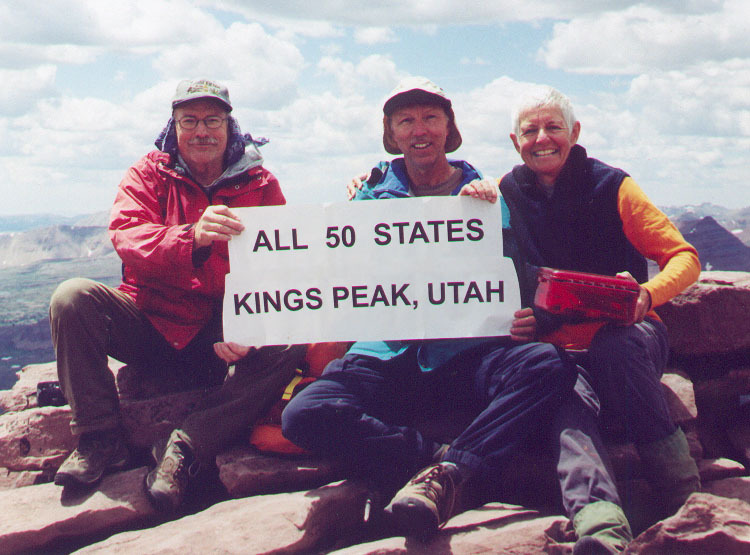 Kings Peak, Utah (13,528 ft.) July 25, 2004. 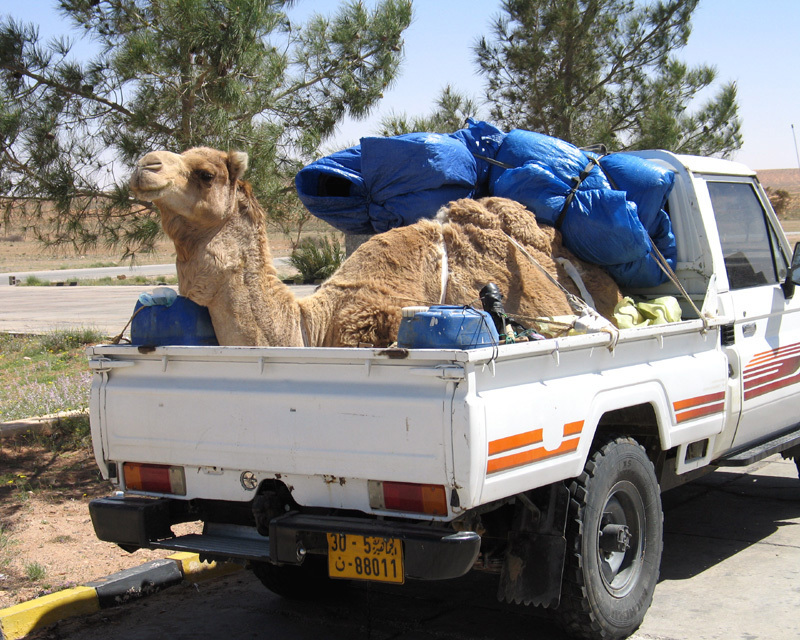 On a trip to Libya in March, 2006 we saw this truck at a gas station. Looks like a good backup plan if you should breakdown in the Sahara! 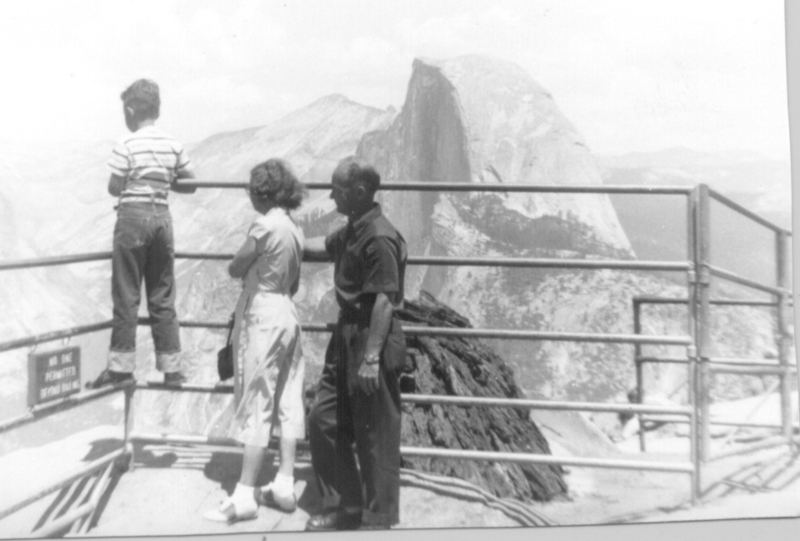 A tribute to Paul Freiman (1952-2013) founder of the club and enthusiastic hiker and adventurer. He will be missed. Go4Hiking The Peakbagger Page Greg Slayden in Washington state. Petter Bjorstad has many trip reports and peak lists of Norway and the world. The Desert Mountaineer A blog on desert hikes, climbs, and travel. 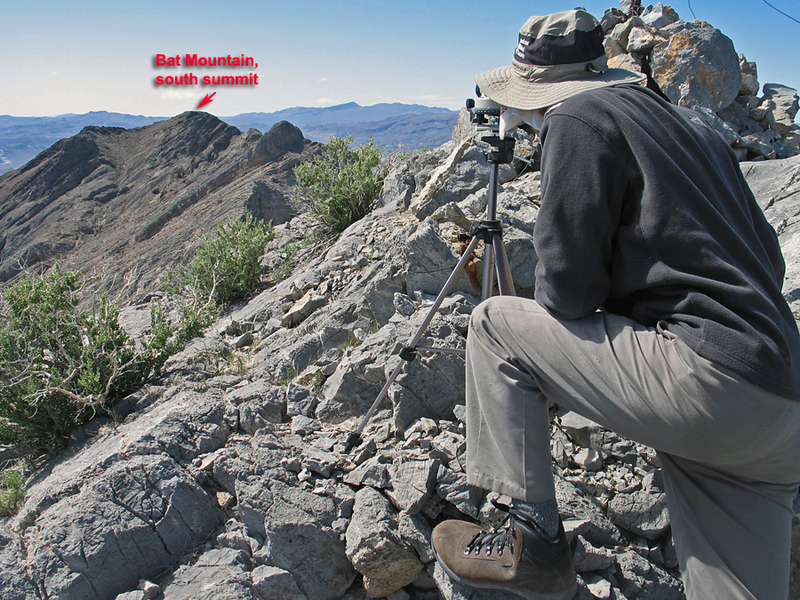 Using a 32X automatic level to determine which summit of Bat Mountain in Inyo County, California is higher. Maps and route description here: Bat Mountain This is a nice peak in a BLM Wilderness near Pyramid Peak in Death Valley. The peak has a sharp drop on the north side and reminded me of Notch Peak in southwestern Utah. This is a view from near the top of Gunung Penanjakan on the island of Java. 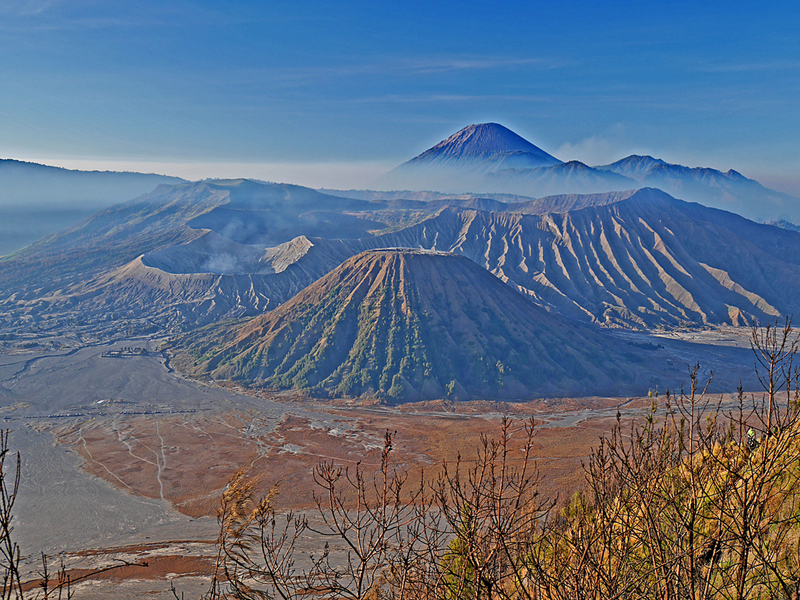 Mount Bromo is the smoking crater and Gunung Semeru, the highest volcano on the island is the big peak in back. The summit of Kilimanjaro, 19,340 ft. on January 21, 2007. Richard Carey and Shelley Rogers on the left. 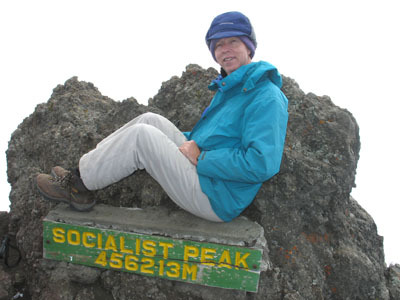 Richard at summit of Mount Meru, 14,967 ft. on January 14, 2007. One time known as Socialist Peak when Tanzania dabbled in communism. My first big trek. On the way to Mt. 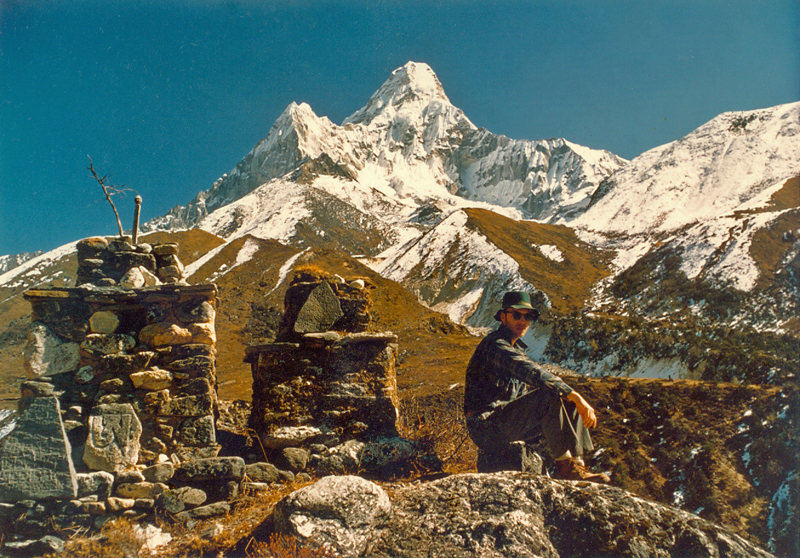 Everest Base Camp on a Mountain Travel trip in November, 1971. That is Ama Dablam, 22,349 feet, in back.